For a new or used Subaru in the Washington DC region, visit Farrish Subaru in Fairfax VA, a proud recipient of the Subaru Stellar Care Award. We carry all the latest models, and our expert sales staff will help you find the perfect vehicle for your lifestyle. Farrish Subaru is one of the leading Subaru dealerships in the Washington DC, Oakton, Chantilly, and Vienna VA area, offering excellent customer service, a friendly environment, attractive financing options, and great cars!Pick up the phone and call (888) 485-6484 or stop in by following our Dealership: Directions to view our great inventory! Browse our comprehensive inventory of new Subaru cars near Washington DC including the popular Outback, Forester, Legacy, Crosstrek, Impreza, or 2019 Subaru Ascent, plus more! 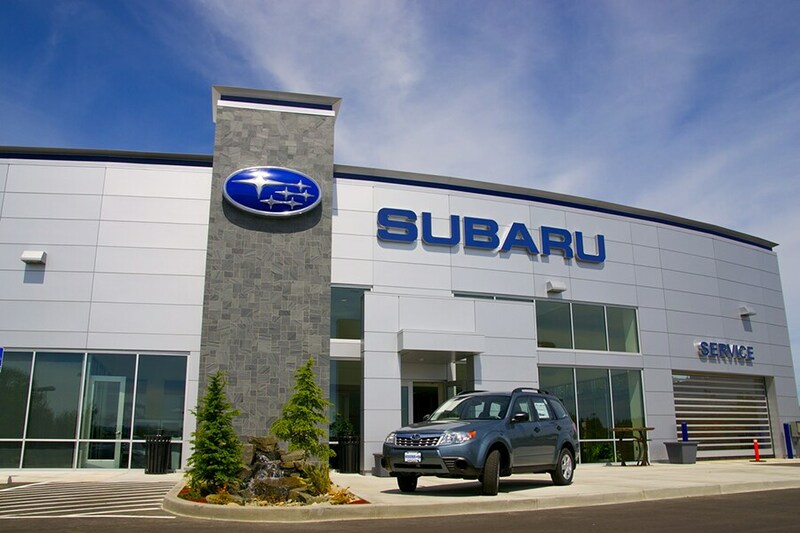 Farrish Subaru serves drivers from Washington DC, Chantilly, Oakton, Vienna VA and beyond, and is a premier new Subaru and used car dealership providing quality automobiles, low prices, and superb customer service. Visit our Subaru dealership to check out our inventory in person, speak with a sales professional or get behind the wheel of a new Subaru for a test drive. Give us a call if you have any questions about a new or used Subaru vehicle. Or, contact us online by submitting our simple form today! used car in Washington DC that exceeds your expectations? Farrish Subaru will find you the perfect well-maintained used car at a great price. With a huge inventory of high-quality vehicles, we are certain that we can locate a used car that suits your taste. Our greater Washington DC used car inventory has vehicles by many of today's top automakers. If you have not been able to locate a specific new or used car in the Washington DC, Chantilly, Oakton, and Vienna VA area, we are at your service. Complete our no-obligation CarFinder form and we will notify you when the vehicle arrives at our Fairfax VA new and used Subaru dealership. If you're like the majority of drivers who visit the new Subaru and used car showrooms at our Fairfax, Virginia dealership, you need financing. We know...most people cringe at the word. But, at Farrish Subaru, serving Washington DC, Chantilly, Oakton, and Vienna VA, you don't have to. Our loan and lease wizards work their magic so that you get the best options for a car loan or lease near Washington DC you could imagine. Why do we work so hard to get the terms and conditions you need? So that you can fully enjoy the inherent joy of buying a new or used car without anything getting in the way. In addition to helping car buyers find the car of their dreams, and fighting on their behalf for agreeable financing terms, Farrish Subaru in Fairfax, VA performs routine maintenance and Subaru car repairs with painstaking perfection for drivers in the Washington DC, Chantilly, Oakton and Vienna, VA area. Each member of our team is chosen for their passion for, and knowledge of Subaru models, offering the invaluable peace of mind of knowing that when your car is in our state-of-the art shop, we'll always treat it like our own. To schedule a car service appointment, simply fill out our online form today! Prefer to take on auto repairs yourself? No problem. Farrish Subaru fully supports do-it-yourself types and offers the certified Subaru car parts you need to do the job right, and can trust to last for a long time to come. To order the car parts you need, simply swing by or complete our online order form. If, perchance, we don't have the part you're looking for, we're happy to order it A.S.A.P. Come visit our all new Farrish Subaru location at 10407 Fairfax Boulevard, Fairfax Virginia 22030, still right in the heart of Fairfax. It's BIGGER, BETTER, and ONLY 2 MILES DOWN THE ROAD from our previous location. With our brand-new showroom and area's largest state-of-the-art service center, we now offer free Wi-Fi, children's play area, free local shuttle to and from the metro, and plenty of available parking. We are very proud to claim that we now have the largest Subaru inventory in the state of Virginia and are able to provide the best deals in the area. You'll get the same great service from the same great staff at the all-new Farrish Subaru location.